Beading Arts: Yay for Zan! 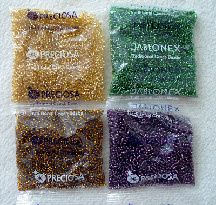 Zan is the winner of the wonderful seed bead giveaway that was made possible by Ekaterina, of The Best Beads! Congratulations, Zan!